I keep on showing you my holiday outfits :) and a tropical print dress is really screaming summer holidays, right ?. This dress is the outcome of one of my online shopping sprees on Asos, Warehouse is the brand and I absolutely love it because it's a mixture of a classic feminine black dress design with a fun and colorful print. I decided to wear it with my Loriblu yellow and black heels and my Gucci bag. Continuo a mostrarvi i miei outfit vacanzieri :) e un abito a stampa tropicale fa molto vacanze estive, giusto ?. Questo vestito è il risultato di una delle mie scorribande di shopping online su Asos, il brand è Warehouse e mi piace molto perché coniuga il design classico e femminile del tubino nero con una stampa divertente e colorata. L'ho indossato con dei sandali gialli e neri di Loriblu e la borsa di Gucci. I made an animation as you can see, it's sort of funny, it seems to me I am dancing to some sort of holiday tune ;). It could be because I love to dance, and you ?. Actually I was thinking the other day about how we are different when we're in motion in comparison to pictures. I am the kind of person that has a lot of expressions in her face and also tends to smile and even blush a lot - I cannot hide my emotions very well, sometimes it can be annoying but to be sincere I am proud of it :-). Ho fatto una piccola animazione, come potete vedere, è abbastanza buffa, sembra che io stia ballando un qualche motivetto estivo ;). Potrebbe anche essere perché mi piace ballare e a voi ?. Recentemente stavo proprio pensando a quanta differenza ci sia tra l'aspetto di una persona in movimento in confronto alle fotografie. Io sono molto espressiva, sorrido, arrossisco spesso e in generale ammetto di non essere brava a nascondere le emozioni, a volte può essere fastidioso ma alla fine ne sono orgogliosa :-). In these pics you can see me wearing two new entries in my bijoux collection, I bought them both during my vacation: a green Sodini statement necklace and an Aurélie Biedermann-style bracelet. Remmember you can click on each pic to enlarge it !. In queste foto potete vedere due new entries tra i miei bijoux: una collana molto particolare nei toni del verde e azzurro di Sodini e un braccialetto in stile Aurélie Biedermann. Ricordate che potete cliccare sulle foto per ingrandirle !. OPI nail polish "Mermeids tears"
Your dress is fabulous!! Print, length, shape... Love it! This dress is so cute and lovely <3 I really like it <3 Look, I have question. I'm also a part of IFB but I have no idea where to find this little banner to blog, would you like to help me? honey, would you like to follow me back? I really care of your opinion. ciao vale! che carino questo vestito, hai ragione fa molto vacanza!! :) un bacio! You do floral really well! I tend to have a lot of online shopping sprees on Asos as well, lol. Love the gif. Che bello, che look sofisticato e fresco per questo estate. 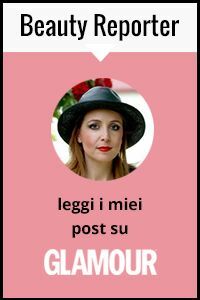 Sei sempre favolosa!!!. Carinissima tesoro! Fa molto estate! Peccato che non veda bene la collana..
Beautiful beautiful dress! Love these sandals too! Hope you are having a wonderful day! Gorgeous dress, love the print of it! Nice dress & what a lovely shoes. Love the color! Bellissimo vestito , la stampa mi piace tanto ! Very beautiful dress... wonderful styling...! VERY PRETTY DRESS! LOVE THE PRINT! Yes of course I'd love to follow you - beautiful dress and beautiful shoes! vale, the animation is super cute. when i clicked on the photos i could see all the pretty colors in your bracelet, & how well it matches your fun dress! i also got to see your lovely blue fingernail polish. :) i show all my expressions in my face too. Very beautiful! Love how you made the picture moving- you are such a diva! Now I´m follow you in GFC and Bloglovin. noooo ma il vestito è stupendo!!! That dress is sooo pretty and chic!!! This dress is so flattering ! and I love the dancing diva, haha..
thank you for help sweetie, i already found this ! We follow you now! On GFC and Bloglovin! thanks for the lovely comment on my blog! followed you on bloglovin, lets follow each other on GFC too :D you so pretty and love the bag! thanks for your comment on my blog and yes, I would love it if we could follow each other. following you now! And the next wonderful dress! WOW! I´m following you via bloglovin too! I adore the dress !! love your styling!!! such a nice dress!! I'm very scared to try multicolored but you did an awesome job pulling that style!! che meraviglioso vestito!! !t sta bene e la borsa è perfetta insieme!!! Great dress, great photo! Waiting for you in my blog! carinissimo questo vestito!! !bellissima la borsa!!kiss!!! this dress is gorgeous! i especially love your necklace too! Great Style! I love your Dress. i follow your blog now. Love it! Looks great on you!! What a great outfit, the statement necklace is such a beautiful addition! Love the heels too! That dress is gorgeous! I love the print - and the jewelry you picked up is fantastic! That animation is too cute as well - I tend to smile too much, too - I think it's a good thing! I like it one more time! your style is so beautiful! What a beautiful dress! Nice animated gif! Thanx for your comment :)!